LASIK (Laser-Assisted In Situ Keratomileusis) is a refractive surgery procedure aimed at reducing a person's dependency on glasses or contact lenses. LASIK vision correction surgery combines the accuracy of excimer laser with the benefits of a manual surgical procedure (combination of ALK and PRK). 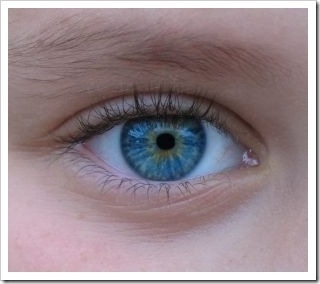 In LASIK, a sharp surgical blade (microkeratome) is used to create a thin flap in the cornea. The flap is then folded out of the way, allowing the excimer laser to remove some tissues from the underlying corneal layer (stroma). 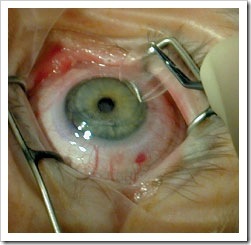 Finally, the flap is replaced into its original position, covering the area where the corneal tissue was removed. LASIK is currently the most popular refractive surgery procedure worldwide. Common vision defects such as myopia, hyperopia and astigmatism can be corrected by LASIK eye surgery. Presbyopia can be taken care by LASIK eye surgery using the idea of monovision where one is corrected for distance vision and other for near vision. The full series of LASIK Vision Correction Explained tutorials are Tutorial 1, Tutorial 2, Tutorial 3, Tutorial 4, Tutorial 5, Tutorial 6,Tutorial 7, Tutorial 8, Tutorial 9, Tutorial 10, Tutorial 11 and Tutorial 12.